Bad Reasons NOT to Stage! I hear many of these reasons/excuses why sellers don’t want to spend $$ on staging. None of them actually make good sense! Thanks to Janet Jones of just-your-style interiors in Maui, Hawaii for sharing! 1. We want to test the market for 90 days. And on the 91st day? Price reduction–and 90 days worth of potential buyers who have already eliminated your property. 2. It costs too much money. I have never seen a home where the staging costs would have exceeded the first price reduction. And that doesn’t even factor in the monthly carrying cost of the home. 3. We can’t stage the house, we’re living in it. 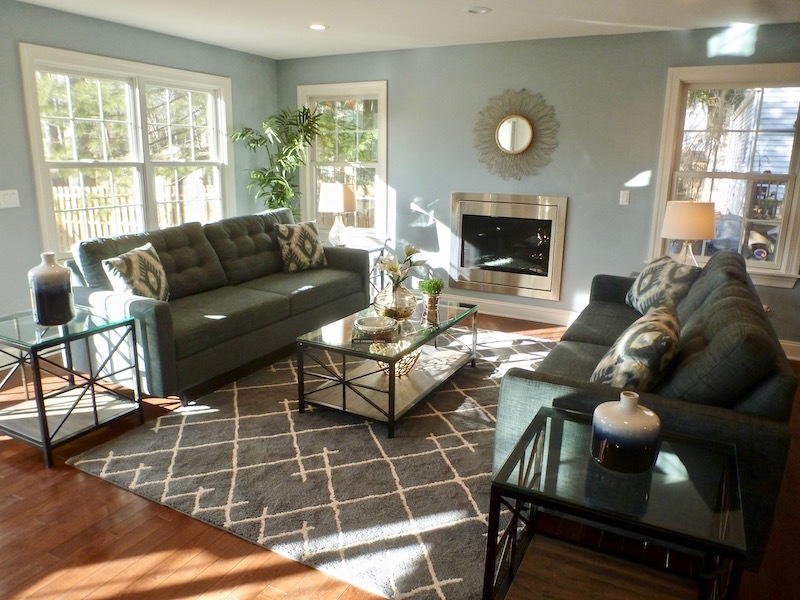 One common misconception is that staging is only for vacant homes. Every home/condo can be staged, and you can actually live in it after staging. 4. We didn’t have to stage any of the other properties we sold over the years. Yes, once upon a time you could generate three offers by 5 p.m. on the same day your Realtor put the For Sale sign in your yard. Not now. Buyers are picky and they have a lot of homes to choose from. 5. Everyone loves our house so buyers will love it, too. What you, your friends and relatives love about your house may not be what today’s buyer wants. Sellers are often baffled by the feedback they get after showings–amazed that buyers have found things they don’t like about the property. 6. We can clean the carpets and declutter without someone telling us how. Yes, you can (and should) do this, but it is a tiny piece of staging. Do you know what separates “clutter” from “asset”? And what about all the other things that staging encompasses, like traffic flows, highlighting architectural features, updating, and appealing to your target market? 8. The view alone will sell this place. Then why many months later are these great view homes/condos still on the market? Could it be that buyers want something to go with the view–like a comfortable, move-in ready home? 9. We would rather let the buyers makes their own paint/flooring choices. And that equals a price reduction. If buyers do make an offer on your home they will double or triple the cost of these items and reflect that in their discounted offer price–which includes a deduction for the inconvenience. 10. Our home is professionally decorated. A professionally decorated home is tailored to the owner’s particular needs. Does it work for the new buyer’s needs? You could see #1 above . . . . There are dozens of reasons not to stage, but only one good reason to stage–getting your home sold faster for the highest possible price. Staging is preparing your home for sale and creating a home that buyers want to buy. If you want to be in the best competitive position in this market today, consult with a professional home stager before listing your property for sale.